Here we have the Male and Female parts of the newly designed Kentucky Slider QD (Quick Detach) Spotting Scope Mount. They have been machined with a male and female stopped dovetail to allow quick and secure attachment of your spotting scope or camera to the Super Spotter Scope Stand, or any other brand you have. It comes complete with all hardware and a lifetime warranty on all parts. 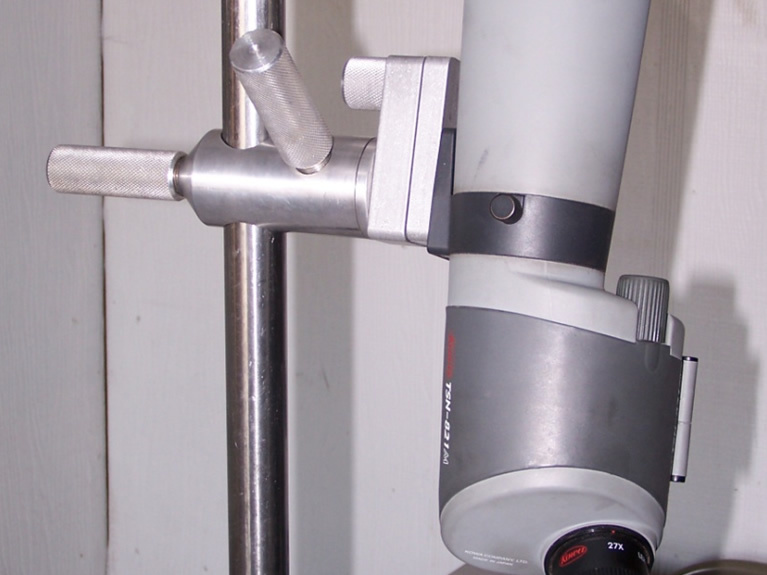 A ¼-20 socket head screw mounts the male dovetailed part, the part on the left, to your scope. Additional Adapters may be purchased for eachof your optics and cameras. The female dovetailed Base, on the right, mounts to the Head Assembly of the Scope Stand or tripod. The female dovetailed Base has a stopped dovetail to prevent the Adapter from slipping through and falling out, causing damage to the scope, or other parts. The Knurled Knob positively secures the 2 parts together, again, to prevent anything from coming loose and falling apart. The design of the Knurled Knob prevents it from falling out and getting lost. But, it is still removable in case it needs servicing or repair. 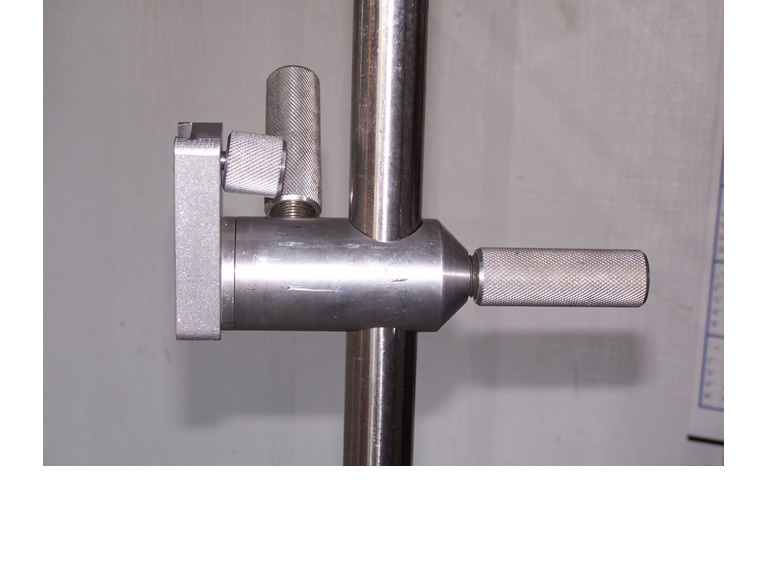 Securely attach your scope to the male dovetailed Adapter as shown above. Orient the Adapter with the threaded hole towards the front of your scope. Take care to make sure that it is very secure. 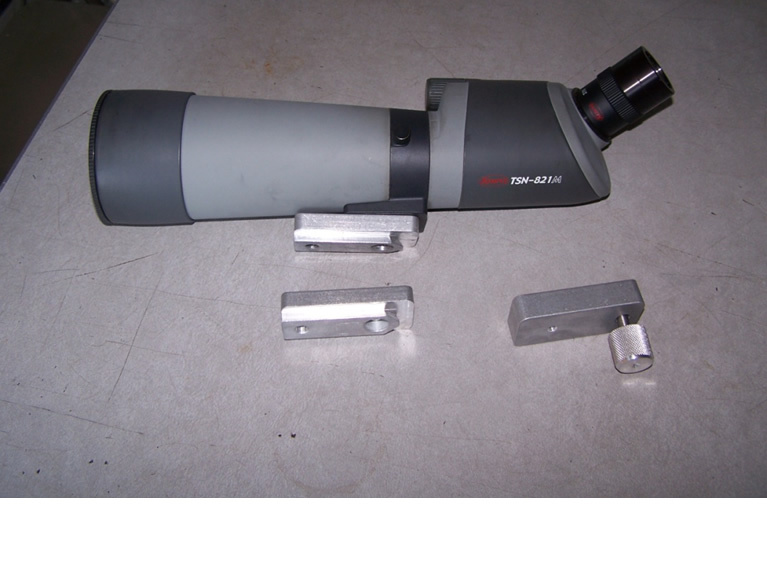 Attach the female dovetailed Base to the head assembly of your scope stand. Again, make sure that the screw is secure. Rotate the female dovetail opening to the vertical position as shown above. Pull the Knurled Knob away from the Base towards the Mast and slip the scope mounted dovetailed Adapter into the female dovetail. The closed end female dovetail on the Base will prevent the scope from falling through. Screw the Knurled Knob into the threads in the male dovetail Adapter and lightly snug it. 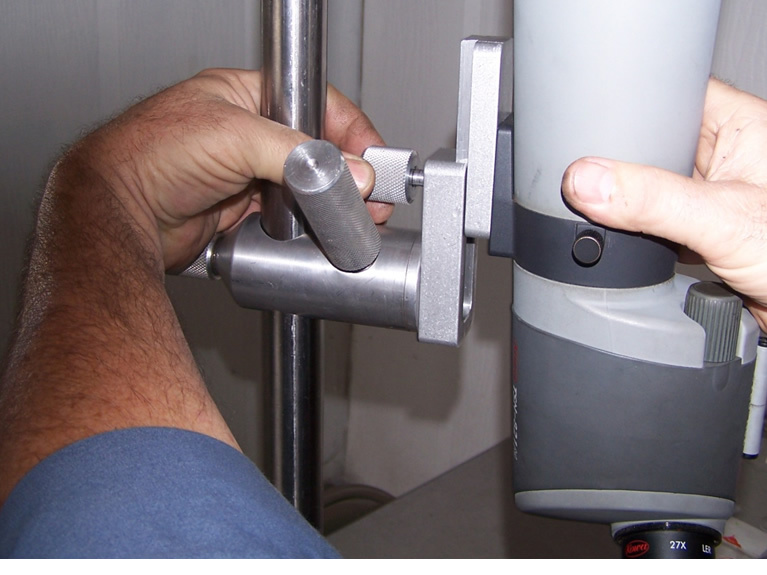 Disassembly is a simple matter of rotating the scope back into the vertical position, loosening the Knurled Knob, pulling the Knob away from the Base, and sliding the scope/Adapter assembly off in the vertical direction. The Kentucky Slider QD (Quick Detachable) Scope Mount has come about due to many requests from shooters to have such an item. I believe that we have a winner in this product. The male dovetailed Adapter will be available as a separate item in case shooters want to be able to mount several different scopes, or other devices to their scope stand. The price for this complete unit is $45.00. Additional Adapters are available for $18.00 each. I appreciate any suggestions as to how to make it a better product, in any way. I also appreciate any suggestions as to any new products that shooters might want. Thanks for looking. Thanks for your interest. Thanks for your support.